This year I’ve kept busy during the Holiday season decorating throughout our new home. You might be thinking that perhaps it is the novelty of owning a property, but I’m pretty sure that this place has an atmosphere filled with some sort of magic. The morning sun we get is simply a beauty to watch as it is when setting, bringing a calm feeling to the surroundings. 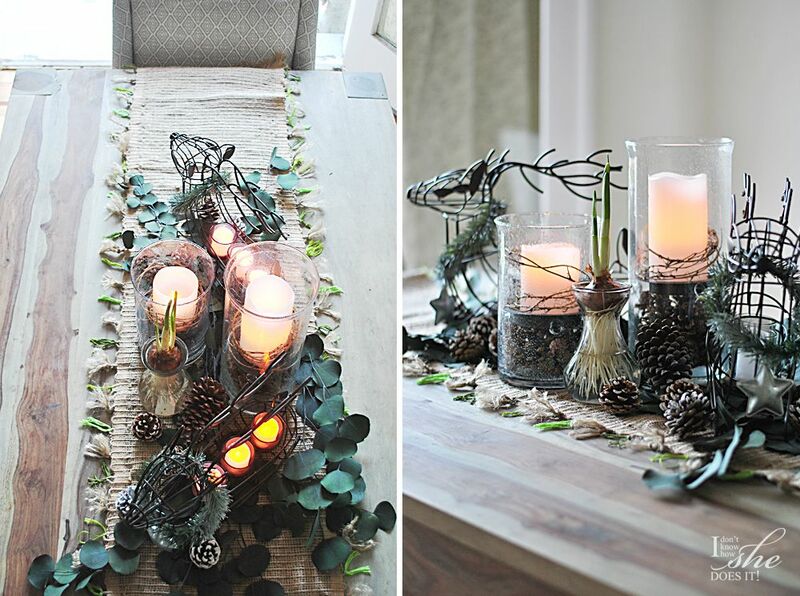 So taking advantage of that lovely light we get as the sun sets, today I’ll be sharing a Holiday table setting as part of my posts for BHG at Walmart. Their Holiday decor selection is exquisite and I’ll be mixing regular items and Christmas inspired accessories from the stores. Some of these you can buy online, while others are only available at Walmart. For this setting I used a BHG Natural Table Runner (72″) as a base to add an additional texture to the wood grain of my dinning table. 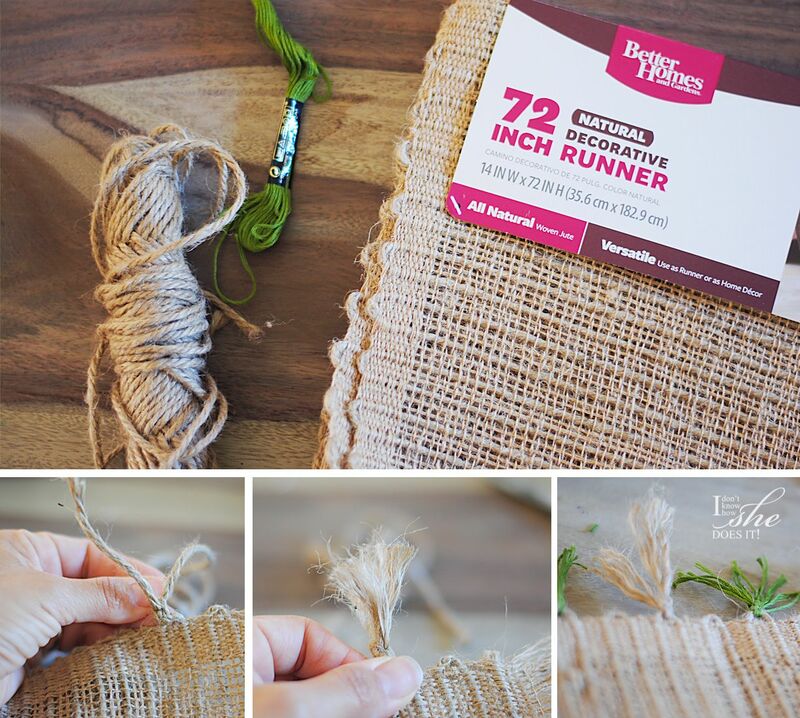 For a dose of color, I knotted some twine and embroidery threads in green tones on the borders making sure that the ends were uncombed. Love how this piece looks so different without doing much to it. My next step was to create the centerpiece. 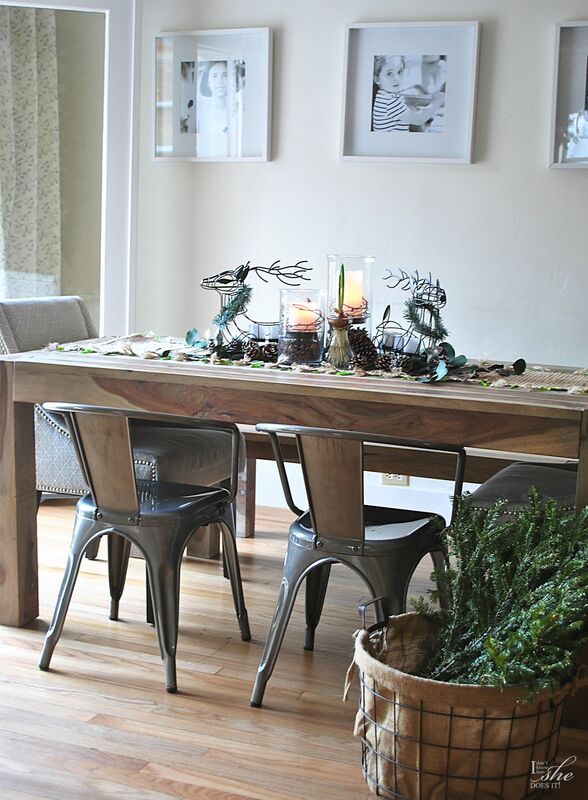 I used eucalyptus branches I already owned over the runner to add some greenery to this vignette. On top of these I placed two BHG Hurricane Pillars Candle Holders in different sizes (8″ and 12″) to create interest in heights. 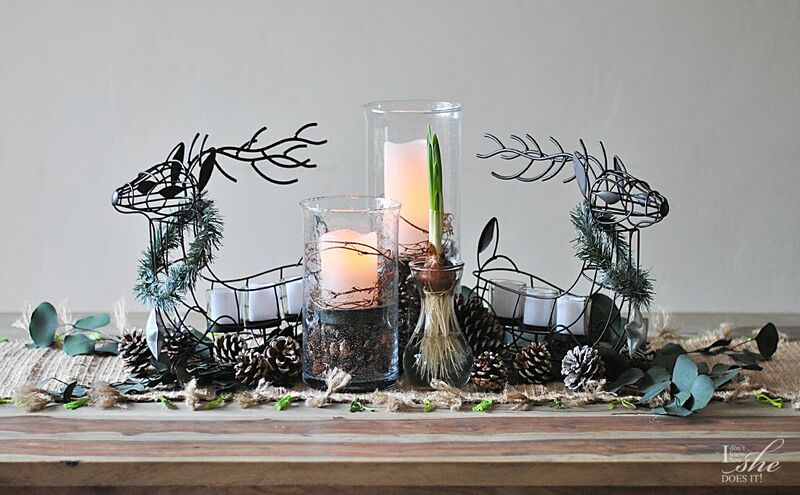 Because these have a space under the plate that holds the candle, I added pine cones for a Christmasy look (also from BHG but available only at Walmart stores). For the candles, I found a set of BHG Flameless Led Pillar Candles that use battery and can be turned on or off with a tiny cute control (can you believe that!!!). And to top it all off, they smell so good (vanilla scented)! 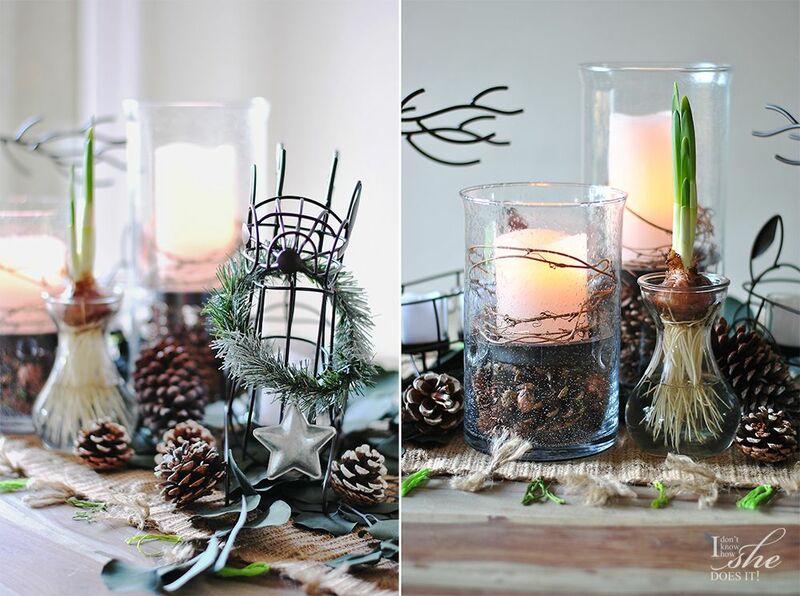 To decorate them I just placed some grapevine branches around each candle. Now for my most important pieces, the metal wire deer (available only at Walmart stores) that also serve as candle holders. To make them look prettier, I made two small wreath from faux pine branches (look here for the tutorial) as accents on their necks. Now we are set and ready to received our guests and entertain them around the lovely centerpiece by the candlelight. 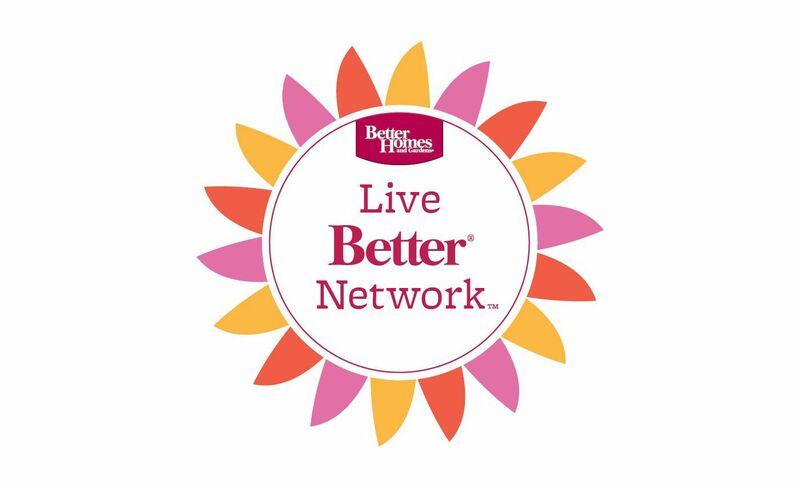 So honored to be part of the BHG Live Better Network where, as a blogger, I’ve received compensation by BHG at Walmart. The opinions stated here are my own. For more updates on their products and decor ideas, you can always follow them on Facebook, Pinterest, Twitter and Instagram. 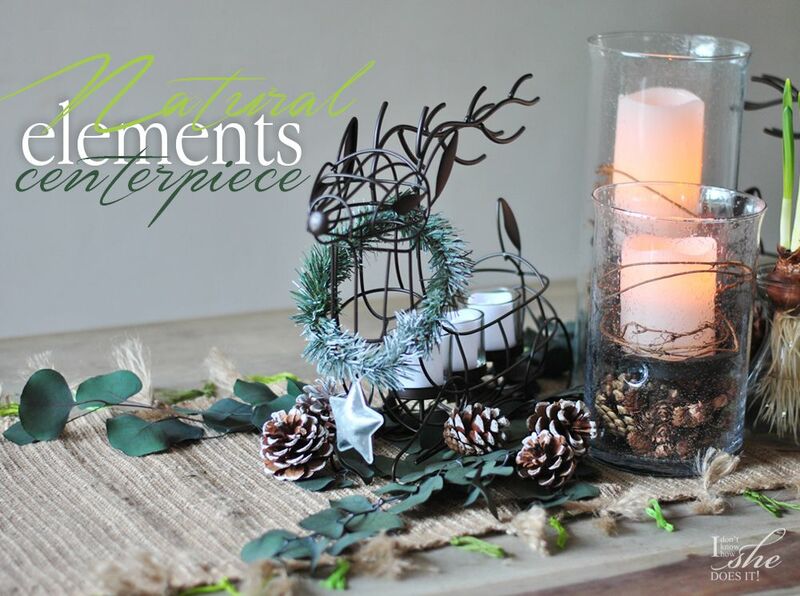 Very festive, love all the natural elements!